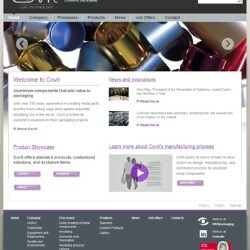 News articles and product innovations from Covit. Recently, Covit Luxe Technology received an award from major perfume company Ajmal to thank the entire team for their outstanding work on the "Sacrifice" project. 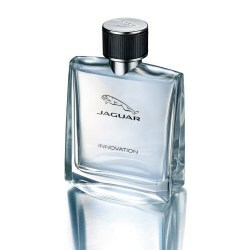 Covit has launched a new line for Jaguar in collaboration with Art & Fragance, with a differentiating design. Its aluminium cup and the lateral gum simulates the automotive components of this luxury brand, combining beauty and power. Agile and strong; slender and seductive; safe and instinctive; these are all qualities Jaguar has reflected in this Covit product. Electrolytic polishing aims to increase the mirror effect of aluminium by reducing its roughness and homogenising its entire surface. Through electric energy and inorganic acids, a completely smooth piece is achieved, resulting in a superior polish and brilliance. 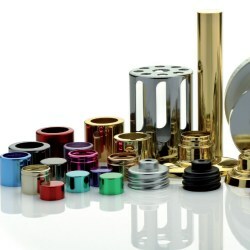 Covit, a Spanish manufacturer of anodized aluminium components, has recently launched a new website. The new site is geared toward reflecting the company's relentless expansion in its target sectors, and represents a tremendous leap forward with regard to functionality and usability.